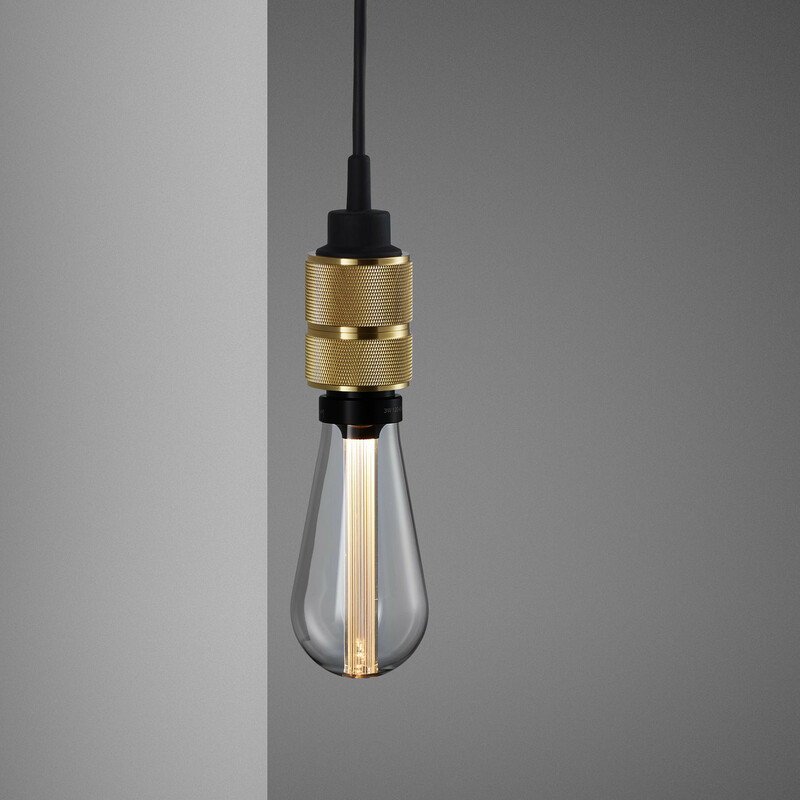 The base is finished in STONE powder coating and features a BRASS pendant. 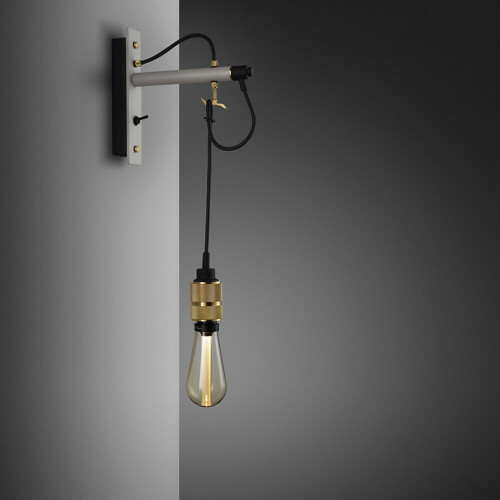 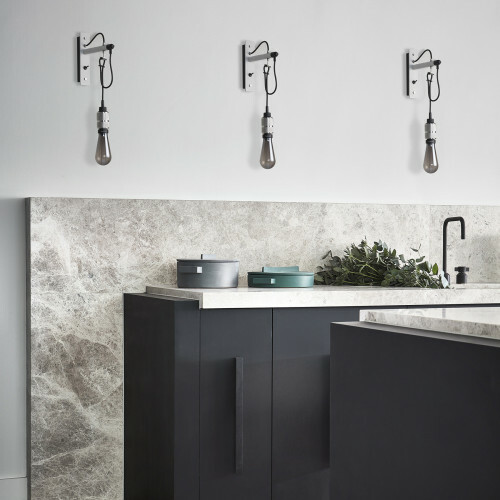 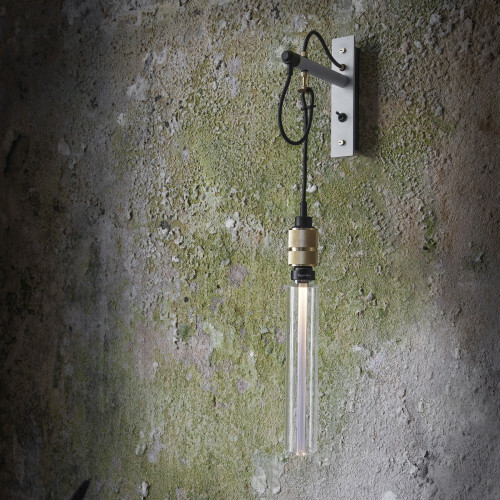 The pendant length can be adjusted to suit and hooked onto a matching solid metal hook. 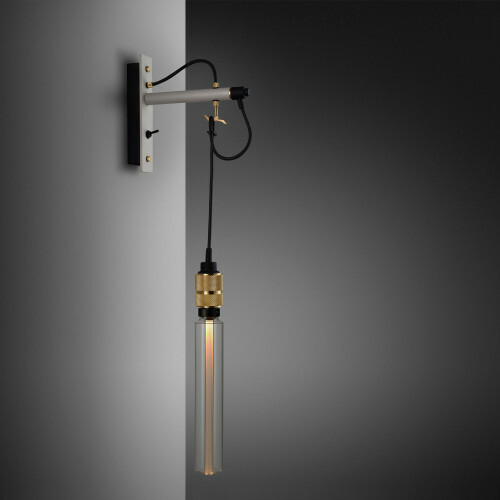 This light is also available with either a STEEL or SMOKED BRONZE pendant. 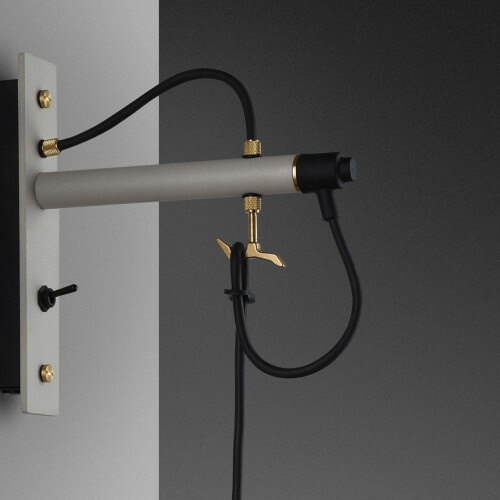 This light can be hardwired into the wall or fitted with a surface mounted cable & plug.